Consider this. Copycats are so routine, nowadays, that the media, the public, and law enforcement agencies take it for granted that after a major violent event, more will follow. Following the community college shooting in Roseburg, Oregon on October 1, 2015 (http://copycateffect.blogspot.com/2015/10/Umpqua.html), it seemed only a matter of time before more college or university shootings would occur. Despite calmer heads have now largely debunked the almost folkloric "Christians were targeted" part of the story (see here http://news.discovery.com/history/us-history/were-christians-targeted-in-oregon-shooting-151006.htm), the ripples from that event continue having an impact. The fatal part of the Copycat Effect happened on Friday, October 9, 2015. But this time, two shootings were discussed as if they were the same kind as the Oregon one. On closer examination, they really do not seem to be. First off, in each case, one fatality each (needless to say awful) but it was not ten. In both cases, there are hints that the shootings were specifically targeted. As the New York Times observed, "Unlike the attack in Oregon and other mass shootings at colleges and schools in recent years, the two on Friday were not so-called active-shooter episodes, but instead appeared to stem from ordinary disputes and altercations that quickly turned violent." 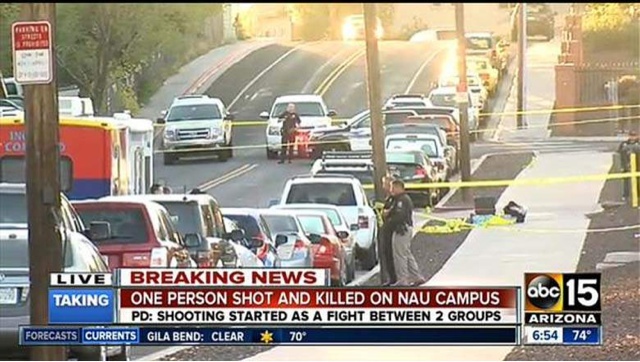 First up was the 1:20 a.m. PDT Friday incident at Northern Arizona University in Flagstaff. One person was killed and three injured. The shooting occurred in a parking lot outside Mountainview Hall dormitory at the northeast side of the Flagstaff campus. Colin Brough (above) was allegedly killed by Steven Jones (below). A freshman, Steven Jones, 18, pulled a gun and shot four male students, killing one. 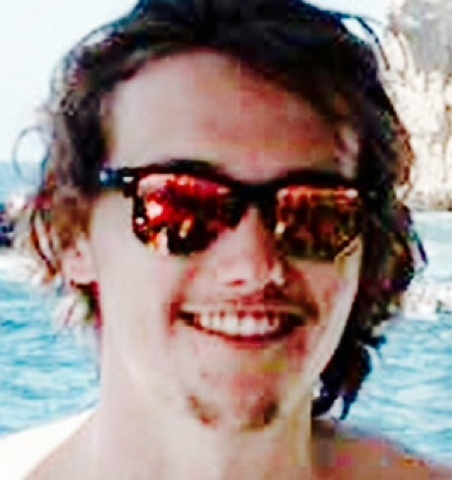 The slain student has been identified as Colin Brough, according to the university’s website. The injured are Nicholas Prato, Kyle Zientek and Nicholas Piring. The victims were shot multiple times. The victims were all members of the Delta Chi fraternity, the organization said Friday. 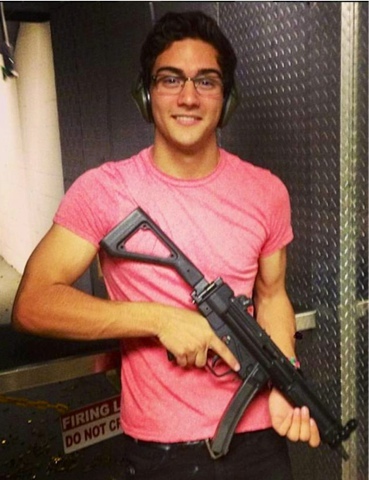 The suspected gunman was not, the fraternity told CNN. Later in the day, tragedy hit Texas, outside an apartment complex on the campus of Texas Southern University, police confirm. The site was the Courtyard Apartments on Blodgett at Canfield, and the time around 11:30 a.m. Friday. After the shooting, the three suspects ran inside the building, up to the fourth floor. Two suspects are in custody, according to HPD. A third suspect remains at large. HPD has not yet released a description. One shooting victim was taken to the hospital in critical condition, where the person later died. The other person was hit in the upper torso and in the back. They are listed in stable condition at the hospital, media reported. In Montana, The court document said Brock Doty, 17, texted friends he was going to carry out a school shooting. He then next sent a picture of a rifle leaning against the wall and under the picture, it said: "I hide my gun from my family." Great Falls Police detective and school resource officer Cory Reeves testified that he arrested Doty after receiving information of the text conversation. Four rifles were found in his room. Shootings like these do happened frequently, but the media feels in the contagion factor linked to such incident. Were they gang-related? Group violence? In general, even with the slight facts we do have, these do not seem to be random acts committed on student bodies without regard to the targeted individuals. Jim Brandon's highlighting of the name "Nicholas" certainly jumps out in the Arizona scenario. One wonders what names will pop up in the Texas case? DELTA Chi Fraternity? Is there a shooting that isn't Delta-related? Delta. Delta is the 4th letter of the Greek alphabet. In science, it refers to the 4th in a series. In geography, a triangular shaped area, typically river basins, like the Nile or Tigres-Euphrates or Mississippi. In handwritten nursing notes, the delta triangle is shorthand for "change". So here we have the news media chant, "Delta, Delta, Delta". That seems to fit in with their chant "ISIS, ISIS, ISIS". Are we calling down the goddess or summoning up a cthonic element of change in the 4th dimension? Maybe actress Delta Burke will make the scene.